Who are the Pemón People? The Pemón People are part of the greater Carib group, which includes the Kamarakoto, Arekuna and Taurepán subgroups. Their indigenous culture, established in this region since time immemorial, has managed to preserve its own identity despite important changes that have taken place in their traditional way of life, which is why they are of authentic anthropological value. According to the national census (INE 2001) the total Pemón indigenous group was estimated to be 23,300 individuals, making them, numerically, the third largest indigenous group in Venezuela. The Pemón People of La Gran Sabana, Bolivar State, Venezuela have been on the forefront of the struggle to allow the entry of humanitarian aid. In this remote Southern region of Venezuela, that borders with Brazil, the indigenous peoples of Venezuela are amongst the most vulnerable and are suffering the consequences of the collapse of health services (see latest report and data on Malaria and other infectious diseases in Venezuela) nutrition, education and security (read February 27, 2019 report by International Crisis Group) of the regime of Nicolas Maduro. Emilio Gonzalez, the Pemón mayor of Santa Elena de Uairen (on the Venezuelan-Brazilian border) told Reuters in early February that his people were unarmed but determined to let in humanitarian aid from Brazil because they are desperate for food and medicine. The hospital in Boa Vista (Brazil) has reported that between February 22-24, they received 23 people wounded by bullets, 12 of whom are in critical condition (one died on March 2 and another on March 3). Control of the Rosario Vera Zurita hospital in Santa Elena de Uairen has been taken over by the Bolivarian National Guard and the Bolivarian National Police who have refused and limited entry to family members of the injured. They don’t allow journalists, religious or humanitarian assistance and to date it has been impossible to verify the number of injured and casualties. Businesses, homes and shops have been searched arbitrarily in all the indigenous communities including Santa Elena de Uairen, and Bolivarian National Guard checkpoints have been set up on the main road. On February 27, 2019 the Bolivarian National Guard launched an attack and took over the airport of Santa Elena de Uairen. This airport is inside the Pemón territory of Maurak and Turasen and together with the Aeronautical National Institute (INAC), the indigenous people have traditionally participated in the airport’s control and administration. On the day of the attack, three Pemones were taken into custody and taken to Fuerte de Escamoto where they were subjected to torture and beatings. 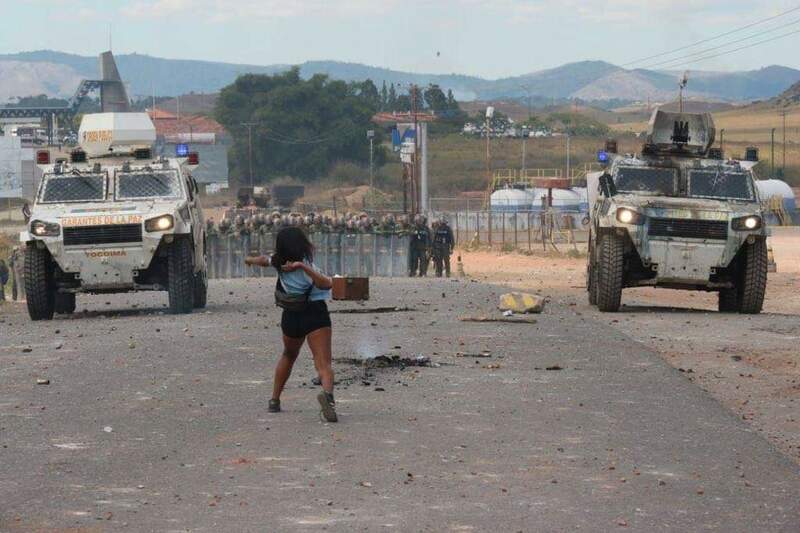 Repression and persecution of the Pemón people on the border of Brazil has continued and to date 58 people have been detained, of which 20 are still detained at Fuerte de Escamoto (16 Pemones, 4 of them adolescents). This repression by the Maduro Regime is particularly shocking considering that ever since Hugo Chavez came to power and Maduro succeeded him, the regime has always boasted about their concern for the indigenous peoples of Venezuela. They claimed that until their advent to power, indigenous people in Venezuela had been grossly mistreated. Ironically however, indigenous people in Southern Venezuela have never been harassed, repressed and threatened as they are now, by precisely the Maduro regime. This systematic persecution by the Maduro Regime is seriously threatening the Pemón physical and sociocultural integrity not only at this particular point in time when they, like the rest of Venezuelan society, are struggling to obtain basic health services and food, but for years, they have also been resisting the regime’s ecocidal mega-mining plan called Arco Minero del Orinoco that has devastating sociocultural and environmental consequences in the entire state of Bolivar. The regime, with the help of “sindicatos” (violent non state actors) and ELN Colombian guerrilla, has been pressuring to take over the Pemón ancestral territories in order to expand their extractivist plans. 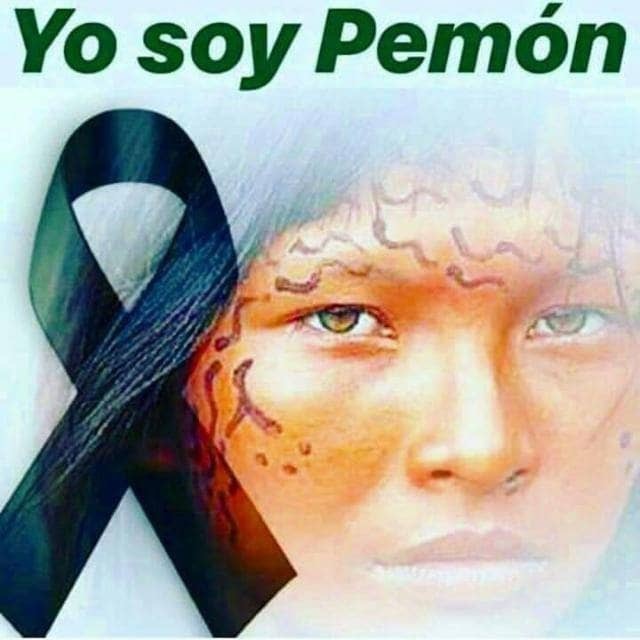 SOSOrinoco calls on all global movements and organizations that care about indigenous peoples and the environment to pressure the UN, UNESCO, governments around the world to demand that the Maduro regime put an end to the persecution of the Pemón people. On March 1, the Inter-American Commission on Human Rights granted a Precautionary Measure (Read in Spanish) in favor of the Pemón people, the families of four Pemones murdered on February 22 and 23, Alberto Delgado, Pemón captain of San Francisco de Yuruaní/Kumaracapai who was shot by a live bullet on February 23, Olnar Ortiz of the Baré people, and a group of various indigenous people arrested on February 23. This Precautionary Measure obligates the Venezuelan government to protect and guarantee the life and integrity of the Pemón people and in particular, the community of San Francisco de Yuruaní/Kumaracapai. – El cese inmediato de torturas, tratos crueles e inhumanos contra ninguna persona indígenas o ciudadano/as, por parte de ningún efectivo militar o policial ni tercero. Consisten en crímenes de lesa Humanidad y como tal estamos generando los informes y denuncias a instancias internacionales. – La protección a la integridad, y vida del pueblo pemón de Manakru (Santa Elena #6 ) y Kumarakapai ( Sector Kawanayen #5) incluyendo Maurak, Turasen, Wuara, Sampai. De los indígenas pemones Nicodemo Martínez, Boris William Hernández y Jorge Gómez, del alcalde Emiliano González y de todos los miembros mujeres y hombres indígenas de la Guardía territorial Pemón, así como de las caciques y autoridades legítimas. – El cese inmediato de la militarización y la salida de la FANB y PNB de los territorios indígenas pemón de Santa Elena de Uairén, Manakru y Kumarakapai, Maurak, Turasen, Wuara, Sampai. – El cese del uso de listas persecutorias, los hostigamientos, contra indígenas de la Guardia Territorial Pemón, Líderes y autoridades indígenas, líderes comunitarios, ciudadanas y ciudadanos por razones de discriminación política, así como allanamientos y detenciones ilegales. – La apertura inmediata de la Frontera con Brasil que permita la normalización de la vida comunitaria, y no el agravamiento de los efectos de la Crisis Humanitaria Compleja extrema sobre todo a sectores de extrema vulnerabilidad como son niños, niñas y mujeres indígenas y no indígenas. – La liberación plena e inmediata de todos los detenidos por manifestar y disentir que se encuentran detenidos en el Fuerte de Escamoto. – El cese y retiro de las fuerzas de seguridad y militares del hospital Rosario Vera Zurita en Santa Elena de Uairén, así como del aeropuerto de Santa Elena de Uairén, en territorio y con administración compartida con el pueblo ancestral pemón. – A la comunidad internacional y a los organismos de protección de los derechos humanos y de los derechos de los pueblos y comunidades indígenas estar alertas y actuar para frenar y condenar todos estos actos que atentan contra la dignidad individual y colectiva del pueblo pemón y de las comunidades del municipio Canaima y alrededores.